I agree these are lovely and tasty treats for lovers of blue cheese. They also freeze very well. 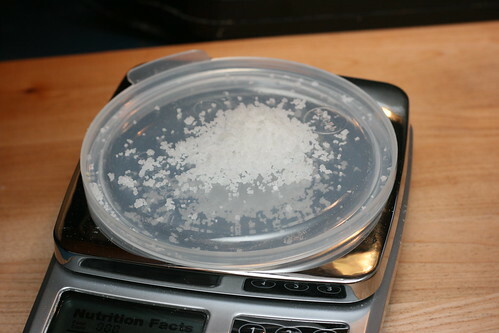 You made a wise decision in skipping the ice cubes. Ice cubes just rob heat from the oven since the heat has to melt them and convert them to steam. That technique is passé. lovely! 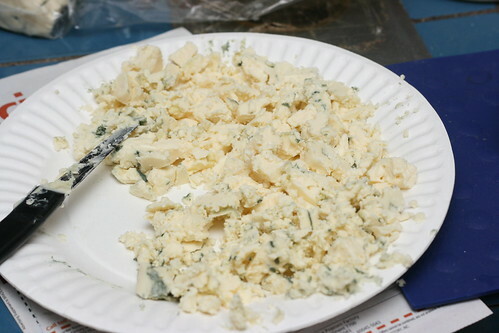 We just bought some fancy blue cheese to try out but we don't really like the taste. 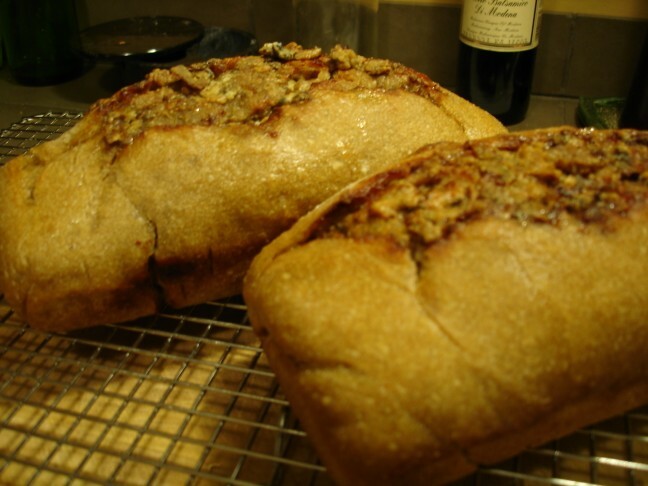 Incorporating it into the bread seems to be a fantastic idea! 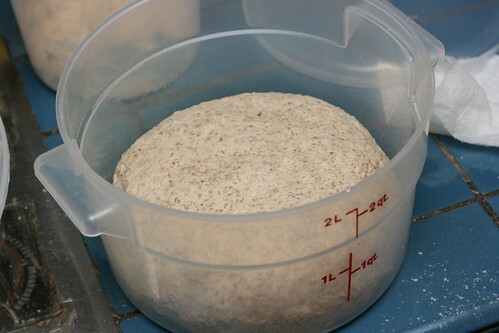 I can't find fine rye flour locally. 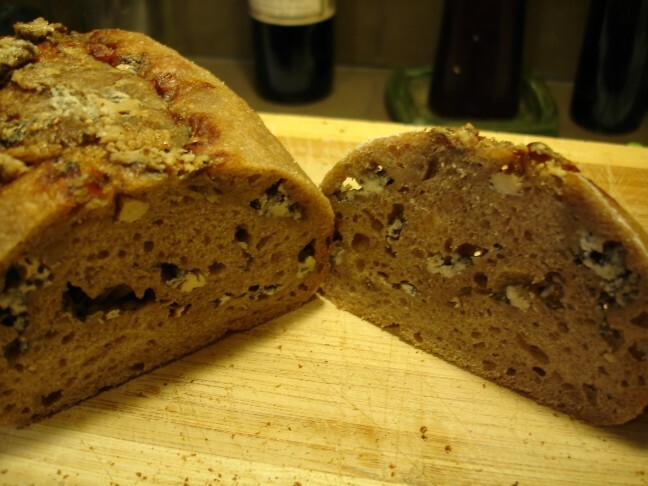 There seems to be just one type of rye flour available, i.e. 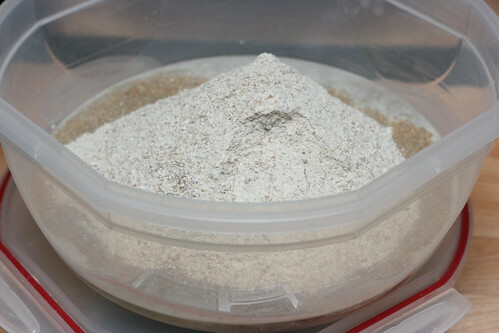 RYE FLOUR ;). I'll give it a try. 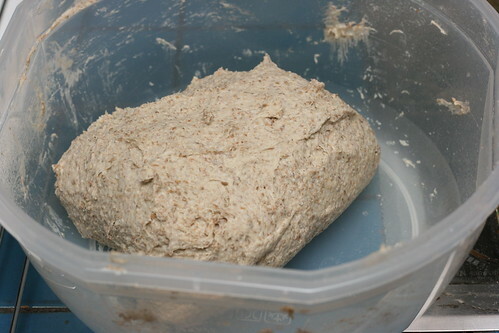 Michelle, as long as it isn't too coarsely ground rye it should work. Just hope it isn't white rye, so you can get some more of that great rye flavor! 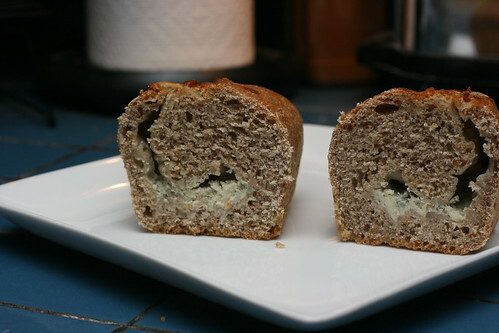 And perfect use of blue cheese you aren't loving, melted in and combined with the bread it should be tastier. 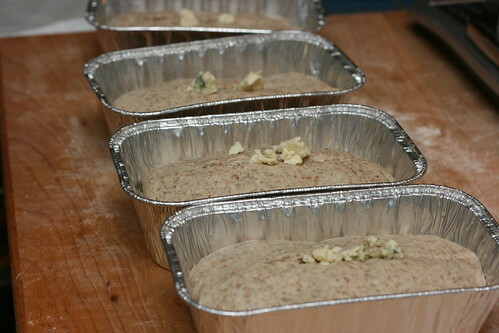 but divided the dough and used half for the golden raisin and pistachio variation in the book. I'm not crazy for blue cheese, and so was just ok with those loaves (luckily others around me didn't feel the same way, so they didn't go to waste). The raisin and pistachio, however, was fantastic. Half of one of those little loaves with butter made a fine breakfast for a few days. I'll have to try that next time, I think I'd probably prefer the golden raisin and pistachio version too! Based on Leader's recipe and inspired by Noel's success story, I gave it a try. 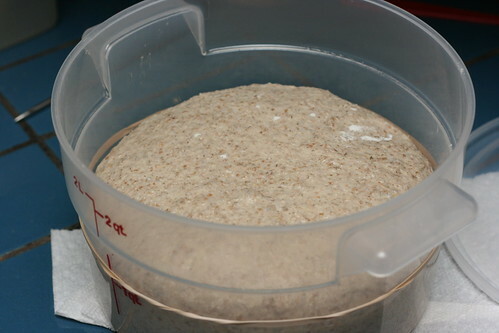 I had some troubles getting the dough to rise to double (even after 3 hours of fermentation as the book suggests), so I put the dough container on top of the floor furnace register...and the dough rised right away. However, I won't do it again. Why? 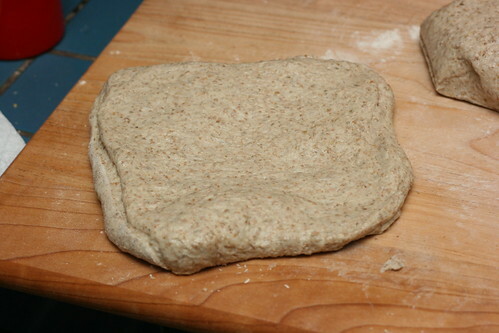 When I flipped the dough out, the bottom half of the dough seemed to be overproofed. 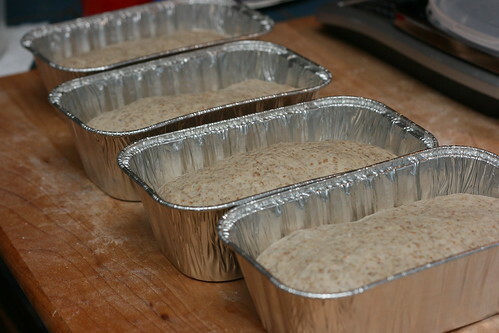 And, I made a second mistake...since I don't have the mini loaf pan, I divided the dough into 2 smaller loaves and put them in the 8'' loaf pans. I think the pan was too big. 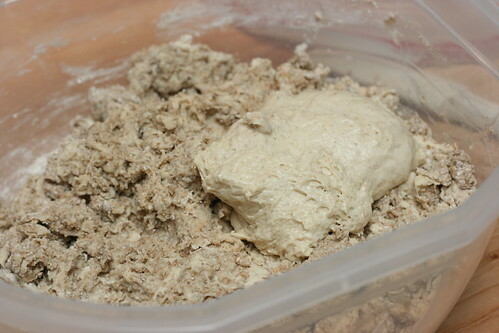 The dough spread out and I ended up having two short loaves. 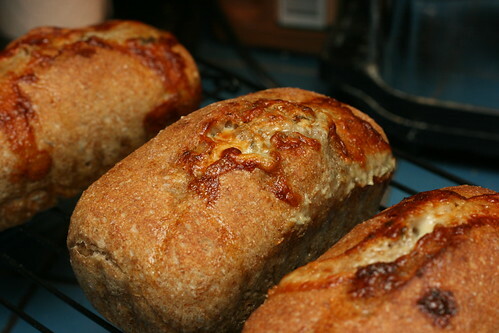 Yeah, mine never really did rise a whole bunch but I decided not to even worry because loaves made with my starter generally get so much oven spring, and it turned out that way for these too. 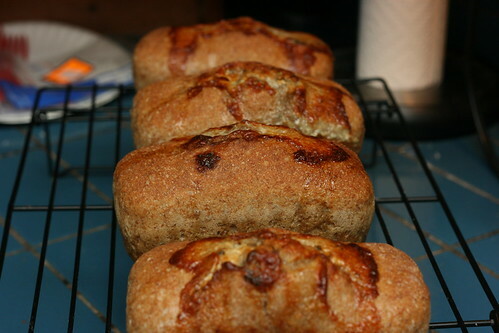 I think the mini loaf pans probably also help the loaf rise a little higher than it would in a larger pan, more support from the sides since the loaf is smaller. Glad you like the bread!